The accused, who remains in custody at New Zealand’s highest security prison in Auckland, has been accused of 50 murders and 39 attempted murders. His court appearance raises several issues, including whether the media should name him. 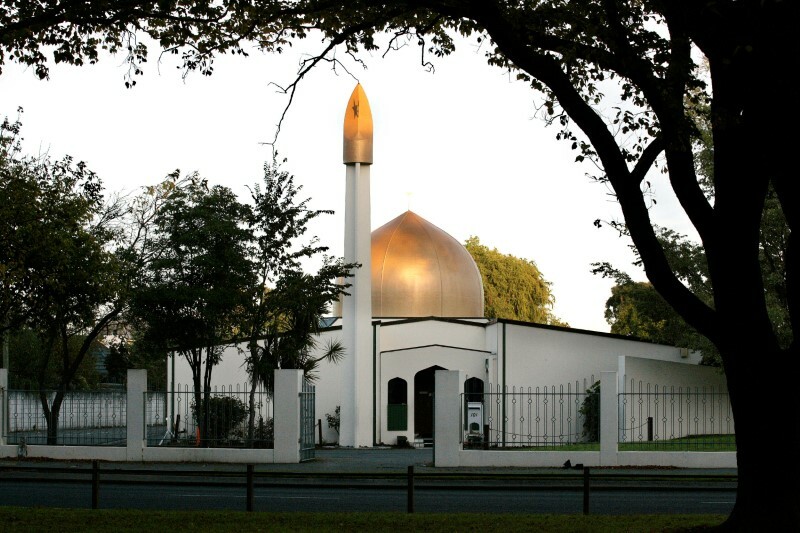 The vicious targeting of the Muslim community in the Christchurch terror attacks has already had swift consequences. Gun law reform is underway, as is an investigation of laws relating to crimes motivated by bigotry. The government has also announced a Royal Commission of Inquiry into why the attack was not identified and prevented. At the centre of these various waves is the trial of the alleged perpetrator, accused (to date) of 50 murders and 39 attempted murders. The identities of the attempted murder victims are suppressed at the moment. The accused, who The Conversation has chosen not to name, remains in custody at New Zealand’s highest security prison in Auckland. He has a right to a fair trial based on a presumption of innocence. The trial will be before a High Court judge and a jury of 12, who have to make decisions based on the evidence presented and found admissible in law. Discussions of the merits of the charges in the media or by politicians are to be avoided because of the risk of polluting the court verdict. During his first court appearance, at the Christchurch District Court, on the day after the attacks, the accused was named. New Zealand allows defendants to have their names suppressed in various circumstances, but this accused did not seek that protection. Whether or not to name the accused is now a choice of each journalist or media organisation. New Zealand also allows photography and recording in court, subject to judicial control. A video of the accused with his face blurred was released from the first hearing, but Justice Cameron Mander declined applications to film and record the second hearing at the High Court in Christchurch last week. At the second, procedural hearing, the accused did not appear in person but via an audio-visual link from prison. Until then, it was thought he would represent himself, but he has now hired two lawyers. The main order made by Justice Mander was a request for medical reports under the Criminal Procedure (Mentally Impaired Persons) Act 2003. Such reports are designed to investigate whether a defendant might have been insane at the time of the offending or whether he has a current mental disorder that prevents him following a trial. They are commonly ordered for serious charges. The prosecution may consider additional charges. The most obvious would be breaches of the Arms Act 1983 or the Terrorism Suppression Act 2002. Since murder charges carry a life sentence, the prosecution will no doubt weigh up whether additional charges add anything of value. A terrorism charge, which also carries a life sentence, would require proof of motivation of the accused, which would allow evidence of ideology before the court. Murder and attempted murder charges focus on the narrower question of an intention to kill, and the only evidence allowed would be relevant to the identification of the accused as the perpetrator and his intention, not his motivation. The only defence to a murder charge is self-defence from an ongoing attack by others. Before the next hearing, expected in June, the prosecution will be compiling evidence and disclosing that to the defence lawyers. This allows them to consider arguing about the admissibility or otherwise of evidence, which may affect when they can advise on the plea. In a complex case, several pre-trial issues are likely to arise and require a judicial ruling. The length of the trial will depend on whether any charges are contested, how many facts are accepted by both the prosecution and defence, and the number of witnesses that have to be called to give evidence and be cross-examined. While a speedy trial is an accepted component of a fair trial, that is not a regular feature for trials of any complexity. Even if this case is given priority, if it involves trial (which it will unless there is a guilty plea to the charges brought), it is likely to be many months before it happens. Another question is where the trial should take place. So far, the courts in Christchurch have been involved, but cases have been transferred in the past because of difficulties of finding a local jury without a link to someone involved in the case. The trial will be public. Judges have powers to require some evidence be heard without the public present, but media are allowed in those hearings unless there is a national security issue. Judges can also impose controls on the reporting of evidence, including to protect the interests of victims. One of several verdicts may follow in any trial. An acquittal follows if there is inadequate evidence of guilt beyond a reasonable doubt. If the medical evidence allows it, a verdict of not guilty by reason of insanity may follow. Similarly, if there is evidence that shows a defendant is not fit to stand trial, the court then considers whether he committed the acts. The fourth possible verdict, which is proper only if the evidence satisfies the jury beyond a reasonable doubt that the accused committed the offence with the necessary intent, is a verdict of guilty. Such a verdict on a murder charge invariably leads to a sentence of life imprisonment. A judge can order that the sentence has to be served without the prospect of parole. Prisoners from overseas, including from Australia, usually serve their sentence and are deported at the end of it. New Zealand does not have standing arrangements for prisoners to be transferred to their country of origin to serve their sentence (nor for New Zealanders to return to serve their overseas sentence). But governments can make other arrangements in special circumstances.